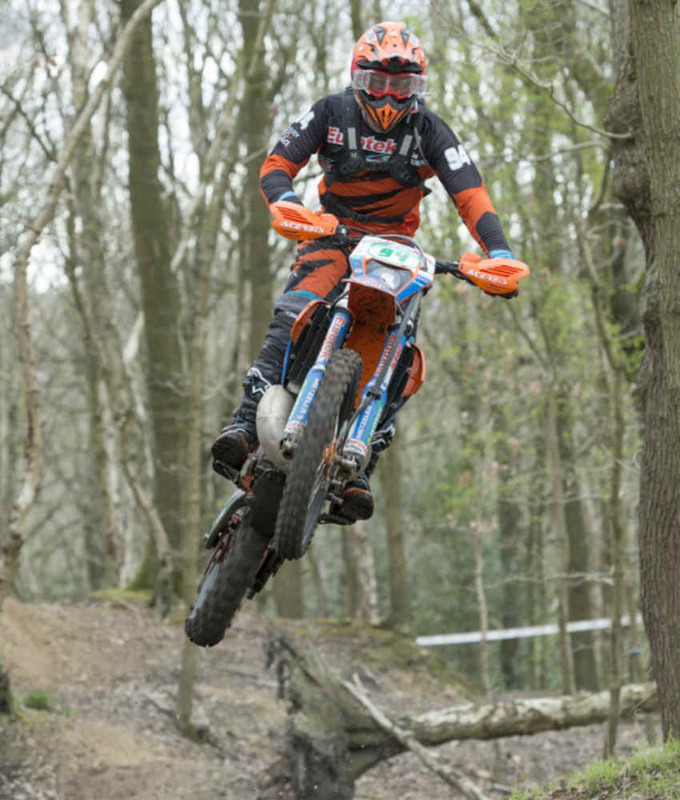 Edge Offroad continued their 2019 season on Sunday at the all weather venue, Westwood near Sheffield, with Round 3 of the Protect My Income Championship. The atmosphere was buzzing, maybe something to do with the nice weather! The Youth event got off to a flying start at 8.30am for the planned full race duration of one and a half hours. Oliver Crookes did absolutely awesome in the Autos class on an amazing seven lap tally! Riley Freeman had to settle for second and his younger brother took third. A special mention goes to Harry Jones for completing his first ever race on his Auto, managing one lap! In the Junior class Connor Gulbrandsen took a fantastic win on 11 laps, with Jamie Patrick completing his first ever enduro race, securing second on a healthy eight laps! And back from injury Tommy Lee Carter secured third. In the Youth B class, Edge rider Jak Heaney took a very healthy win on 16 laps, with Lucas Travers having a storming ride on 14 laps in second place and Alfie Marsden taking the last spot in third. In the Youth A class, Edge rider Alex Leadbetter had a fantastic win completing 16 laps! Cameron Baker Haste has now settled onto the Enduro scene, and took an excellent second place and Mason William Davies had a fantastic result securing third place on the podium! Moving swiftly onto the first Adult event, Ash Hancock arrived late but made sure he got the win under his belt to grab a massive amount of points to help his championship, Mike Taylor battled to the end but had to settle for second, finishing less than a minute behind Ash. Jonny Balfour had a great race securing third place in Sportsman. In the Sportsman Vets class Phil Dodsworth showed he is still top of the class, but they are chasing him down! Stephen Dungworth took his first ever trophy back home with him, but had to settle for second, and Lee Parry was back on form and took a solid third place. In the Over 50 class, winner Tim Reynolds had an awesome result, finishing nearly a minute ahead of second place, returning from injury, Jon Wadsworth and Rob Gregory rounded out the podium in third. Kate Smith managed to get that extra lap in and took the win in the Ladies class ahead of Molly Howe, with Sarah Thomas just getting back into the swing of things and enjoying her riding again, taking third place home with her. In the Novice class, local lad Tom Slater had an easier task on his hands as two of his main competitors DNF'd early doors! Tom took the win ahead of his mate Billy Matthews in second with Adam Day having a fantastic days riding and securing third. After a few track alterations, the PM lads got underway. Course designer Dan Bewlay decided last minute to have a ride out, big thanks to Tim Reynolds for lending him his Sherco! Leisure Trail rider Josh Bailey got a fantastic holeshot and off he went! Eurotek rider Joe Deakin had to hunt him down, whilst Edge rider Luke Owen nosedived into the ditch and Mr Bewlay wasn't even on the line! Joe ended up getting away from the pack and taking the overall win, the only rider to complete 16 laps. Dan Bewlay had to settle for third, and back on form Josh Bailey took third place. In the Expert class, Ryan Hoare had a great ride from start to finish, and took the win, only 40 seconds ahead of second place Jordan Jones and Declan Helliwell secured third place. Martin Allen was over the moon to take the Winners trophy home in the Masters class, again close racing, with John Steeples putting the pressure on in second place and Mark Raynor taking a well deserved third place. In the Clubman class, Mr Smooth Jason Hirst, took the win but was being hunted down all race by second place Kurt Weston, who had to ride the last lap with a badly damaged ankle after clipping a tree stump! And Danny Calkin only just got third place by 2 seconds!